I love the art deco murals and sculptures in Fair Park. My favorite may be the Spirit of the Centennial sculpture in front of the Woman’s Building. I have seen it in the daylight many times and took some photos of it. But I had never had a good look at it at night. It glows with a preternatural beauty – worth a gander, for sure. 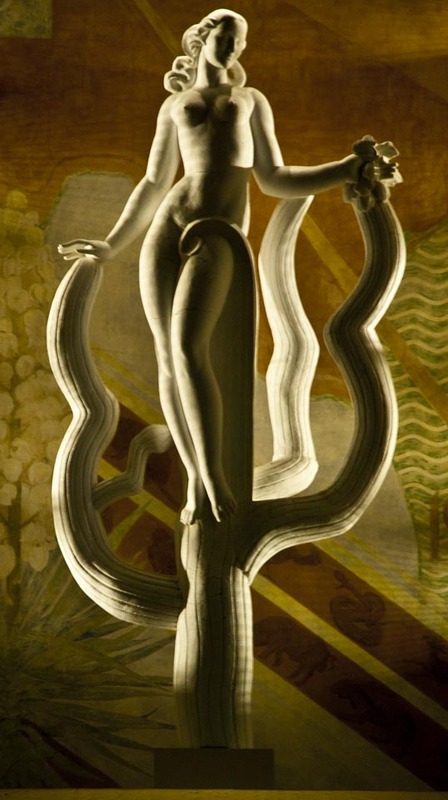 This entry was posted in Photography and tagged Art, art deco, Dallas, fair park, Sculpture, Texas, woman. Bookmark the permalink.